With the recent spate of videos (and more to come! ), I’ve added a couple of new items to the lineup, which in one way gets me back to where I was a few years ago. Back then, I was recording on 2 cameras simultaneously (sometimes even a third), which gave me a lot of options for editing. They were tape-based cameras, so they were generating a lot of tapes for storage (not that a miniDV tape takes up a lot of room), but the transfer time was horrendous (having to be done in real-time), and so an hour of recorded footage would take 2-3 hours just to get it into the computer to edit. Those cameras have died along the way (another consequence of physical mechanisms, and modern quality), and so a couple of years or so ago, I went with the Canon HFS20, which is solid state, with both 32GB of onboard memory, as well as a couple of SD slots, which I primarily use with a 32GB SanDisk Extreme Pro SDHC card. That has been a great camera, so most recently I was looking for a second to add, and came across a very recent addition from Canon, the HFG30. 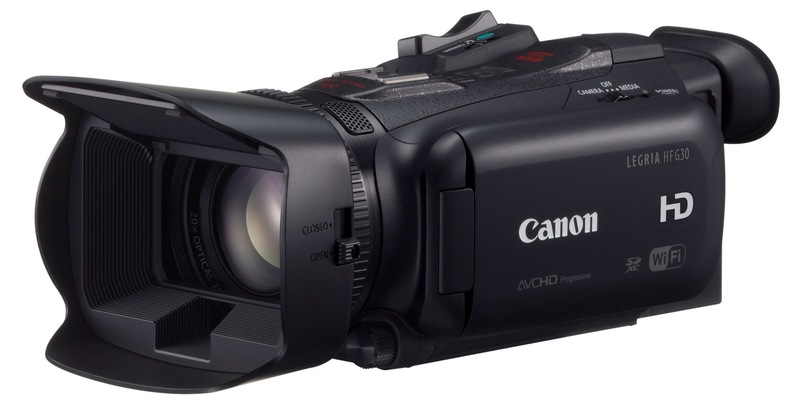 Again, it uses 2 SD slots, so would fit straight into my current workflow, and it is a seriously spec’ed camera. So that is what is joining the lineup. I seriously did look at a second SLR (or SLT in Sony’s case), but some initial tests were rather disappointing, with the camera overheating consistently during long recordings, making it too unreliable to be a serious solution. I know SLRs are now commonly used in the field for HD video, but they are (it seems) for short takes at best. I prefer to set the cameras up and recording without pauses, so the resulting footage is easy to edit, as it, and the audio tracks, remain in sync and don’t need to be rekeyed up each time a camera is stopped. So that is the current news anyway. Been uncomfortably busy recently, thus the lack of posts. I did manage a little bit of shed time on Sunday, starting the build for the next magazine article. The DVR XP was just the start of the story (and more recently, the DVR 2024) – a lathe with a direct drive motor. But not just any motor – a fully computer-controlled compact, powerful, state-of-the-art digital variable reluctance motor. This provided a significant number of benefits, including a motor that can both sense load and immediately react to load changes to maintain a constant speed. Happens to provide significant power savings as well, seeing as when there isn’t any load, the power consumption of the motor drops right away. So power is consumed only when needed, and only the amount that is required for the load applied. The computer can also detect other adverse conditions, such as if the shaft is locked, if the tool is digging in etc, and immediately cuts power to the shaft. Given the spindle of the motor is the drive for the machine, there is no loss in belts slipping, loss in gearing or other methods to transfer the motor power to the chuck. There is a significant decrease in the amount of noise produced compared to a traditional motor and belt (or gear) solution. The lathe obviously benefits greatly from having a DVR motor as its power source, but it isn’t the only machine that could. Then of course is the DVR Drillpress. But that is not the only tool that will have the DVR motor added to it. 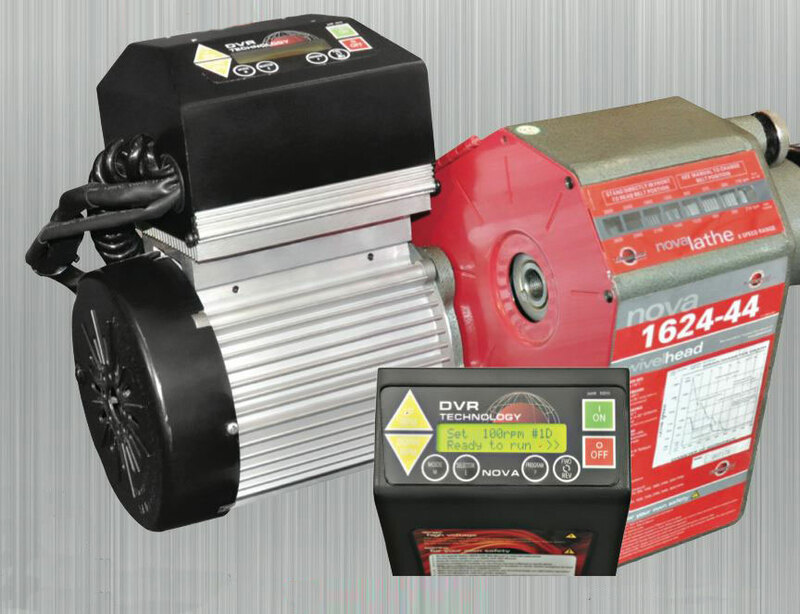 For one, if you own a Nova 1624, there will soon be a DVR package drive that can be retrofitted to this, and other machines so they gain the advantages of the DVR motor. (Don’t forget remote control, such as the upgrade I did to my XP). For the 1624, it won’t be a direct drive, but will only use a single belt position, and all the speed changes will be done with the DVR motor alone. You will still have chisel dig-in sensing, the ability to upgrade to remote control, and the power saving benefits of the DVR motor. Oh, and of course digital speed control through the full RPM range. Now to the drill press – more info! 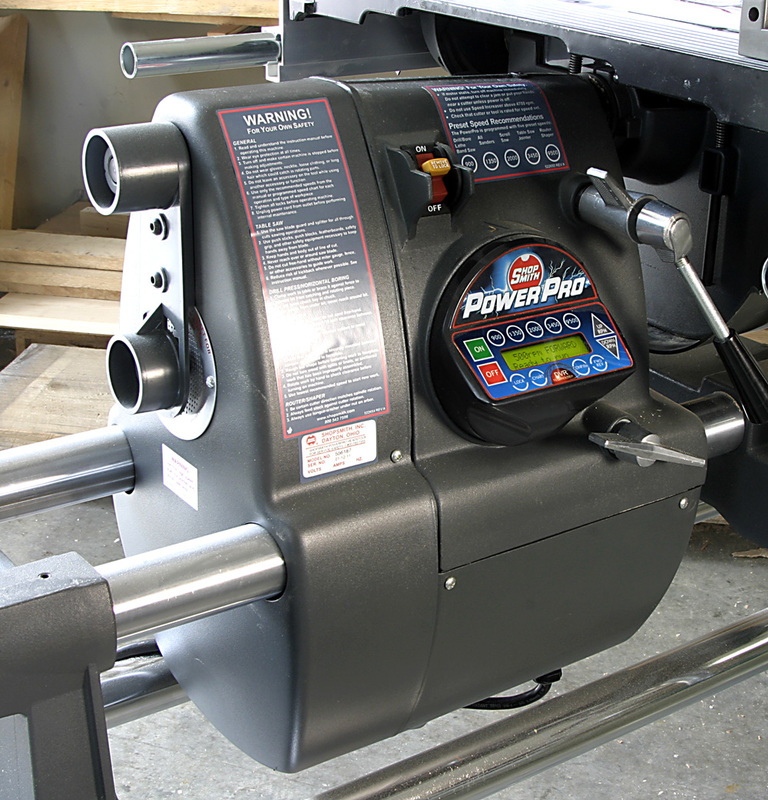 The extra information makes the drill press even more amazing – and making a drill press amazing is a feat in itself! 1. Slow Start – The slow start function detects the load on the drill bit. The motor will initially run at a slow speed (to make a small hole) and when a load is detected past a certain threshold the speed will then increase to the predetermined running speed. 2. Breakthrough Detection – Detects at a micro-second level if a breakthrough in material has occurred or not, if it has, then the speed will be increased to reduce the amount of burr/tear out. 3. Tool Analysis – indicates dull or damaged drill bits. 4. 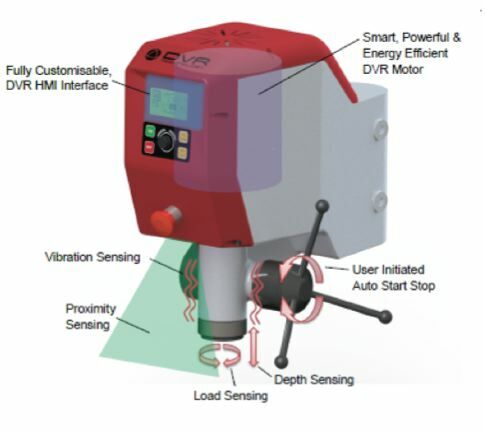 Proximity Sensors – detects chuck keys left in drill, proximity of hands and sleeves to the moving tool. Intelligent Speed Selection – no belts to change, you can digitally select your speed or choose your project and materials and drill bit, and allow the DVR Drill Press to do it for you. On board memory – allows user to store favorite programs and settings – useful in production environment or in returning to set/favorite projects. Low maintanence – no belts to replace, and mechanically a very simple design with industrial grade electronics. Full smartphone device integration – software upgrades could be available to allow integration with smartphones for control of panel and integration with project Apps. Hang on – what was that last point? Apparently this is available in the US in hardware stores (Home Depot), the product is “NeverWet”. No idea about whether the product should be available as a consumer product, but as a concept it sure is pretty amazing. The applications could be incredible. $US20 for 2 cans (and yes, I checked that it is actually available). However, in the wrong hands, I would be concerned about its safety. Imagine if swallowed. How could the body absorb nutrition, if the surfaces of the stomach repel liquids absolutely? If you got it in your eyes, then the eyes could not lubricate. Sure there are a whole swag of other dangers of the liquid/application. On the other hand, how amazing the potentials. For example, in the video the lack of waste in the concrete pour. I wonder how a ship would perform with such a substance on its hull. There would be so much less friction of water passing the hull. Get a spill on a concrete floor, and have the floor repel the liquid (water, oil etc). If a piece of equipment was completely treated, could you clean it down with a hose? In a video on the NeverWet website, it shows an iPhone and a calculator, both operating quite happily underwater, with only an external coating of the product. Computers that would be proof against a sprinkler system deluge. Car windscreens that wouldn’t need windscreen wipers. It had to happen some time, (and the sooner the better!) 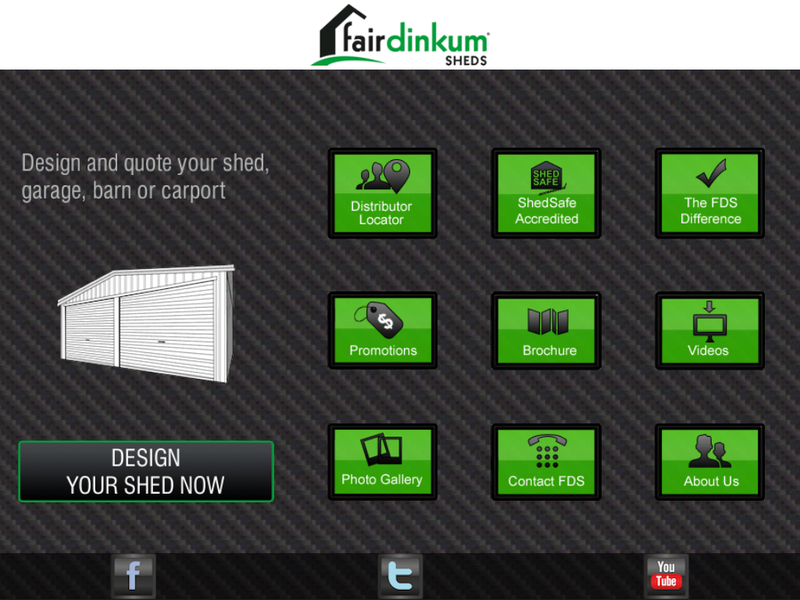 – shed manufacturers are releasing design programs for mobile devices. 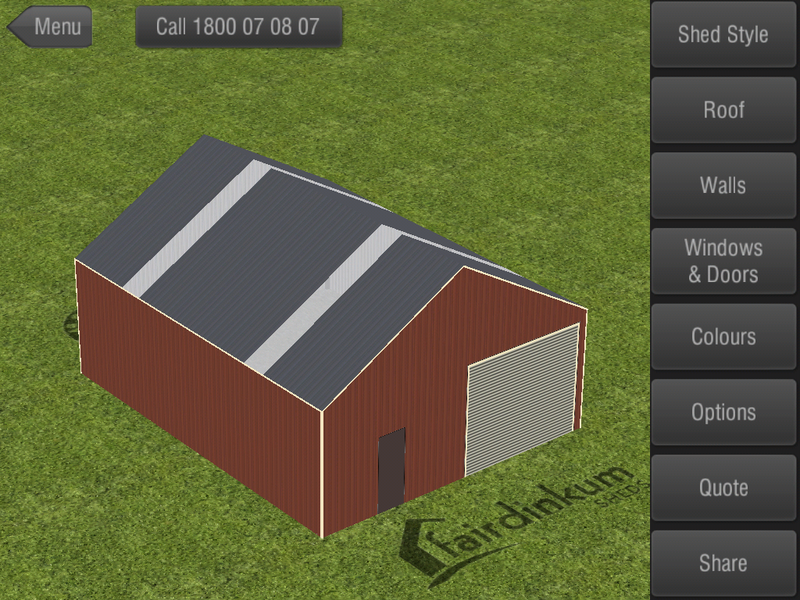 So now you can design your shed while in the field, in the train, or anywhere else you have your phone or tablet device, and have a few minutes spare. I’ve been playing with the iPad app specifically, which is where the screen shots have come from. 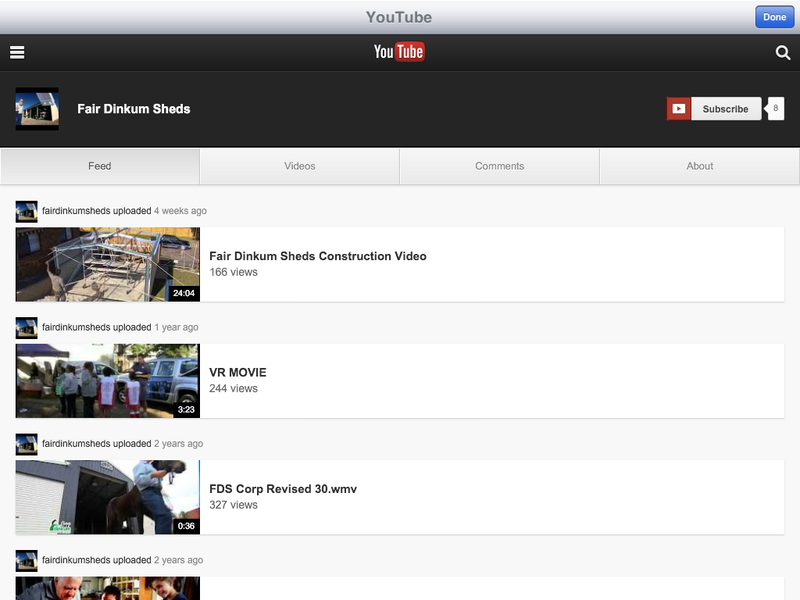 Same functionality for the other versions, just different layouts. 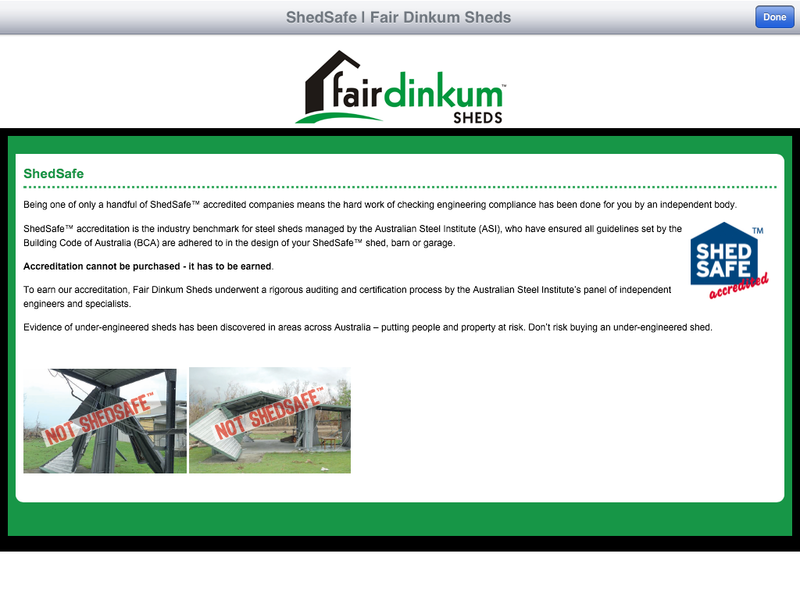 The front screen has a number of pages of information (the green buttons), including info about ShedSafe, bit about the company, links to relevant YouTube videos etc. On the left side, there is a button to take you through to the shed designer package. 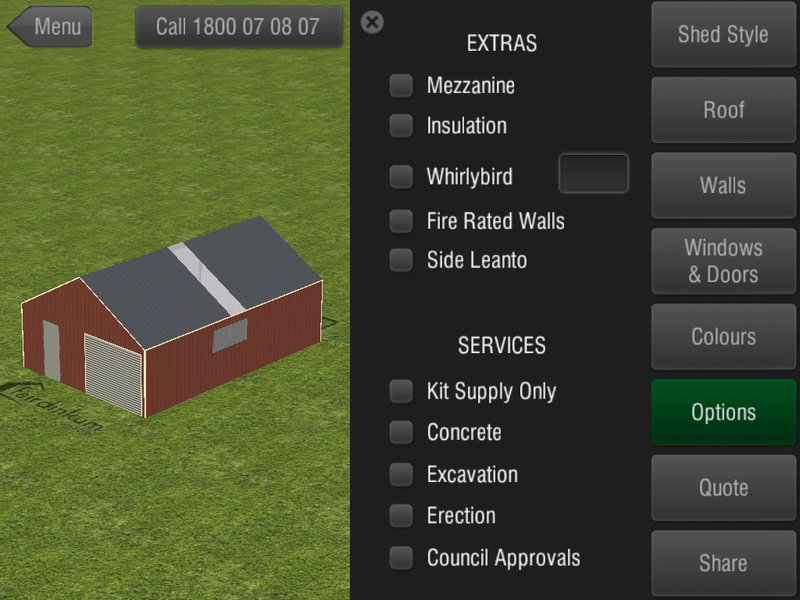 In this current version of the software, you can design one of the first 4 styles of shed – future updates should include the other two styles, and include additional options for positioning of extensions, lean-tos etc. The picture of the shed is not static either – as you’d expect for an iPad (etc) app, a drag of a finger can pan the shed around, get a higher, or lower perspective. Even for a basic shed, there are huge numbers of variables available, including a wide range of roof pitches, changing the span and length, and colour it all as you like. 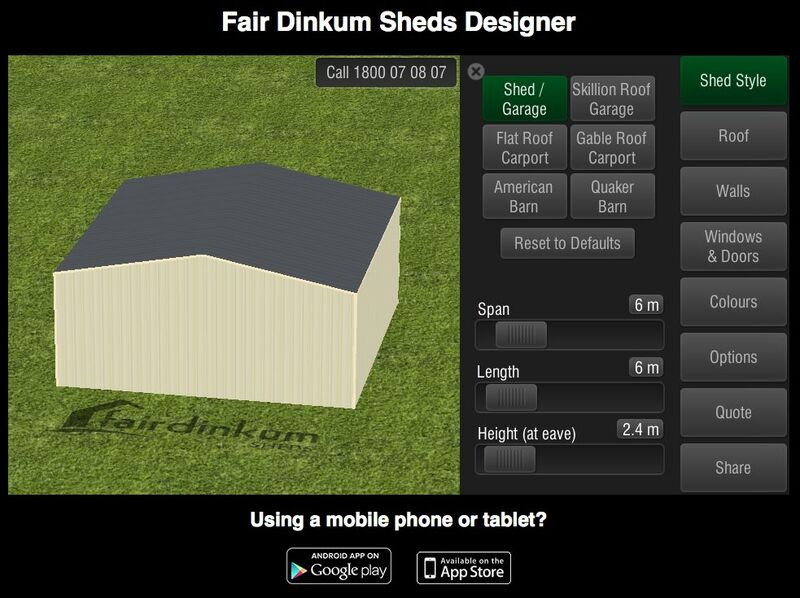 Once you have the shed designed, including options you want (skylights, whirlybirds etc), you can submit to to your local Fair Dinkum dealer for a quote, or “share” it on Facebook, Twitter, Email and SMS. If your shed has features outside the parameters of the software, the dealers have a more sophisticated version of the package to custom design to your heart’s content. 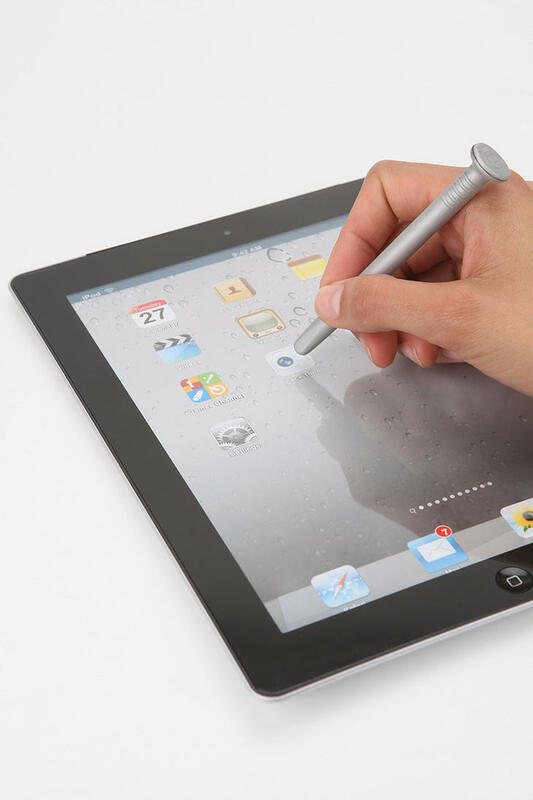 The app is a more simple interpretation of their full design and engineering software. You get to to control the cosmetic features of the shed, which their design software then uses as the basis of its engineering calculations in order to create fully engineered plans and the quote. 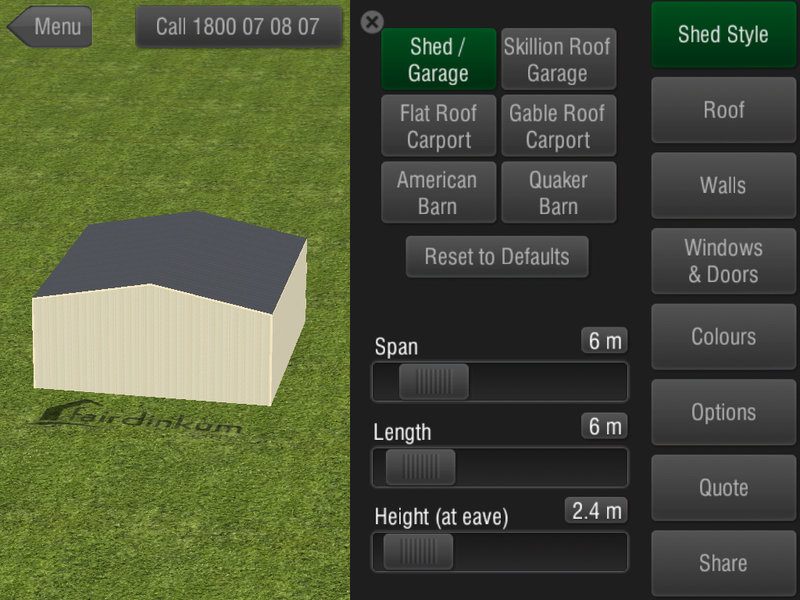 The app is free, so you can download and design your current shed, or your next one. The software itself has a very consistent look and feel, irrespective of your platform of choice. Problem for me is, the next articles are due mid March, right when I am moving house (and shed! ), so I will have to get the next set of articles in early as well. After a discussion today, I have a plan for the next set of articles, so now I just have to make it happen! 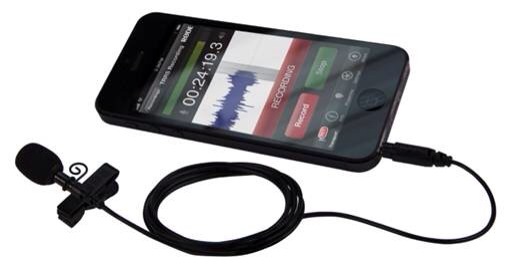 The articles in the current edition include the Melamine blade from Amana Tool and Toolstoday.com, the TURBOPlane from Arbortech, a Borescope that wirelessly displays the image on your iPad, iPhone or Android device, and a step by step on using the Tambour door router bits. 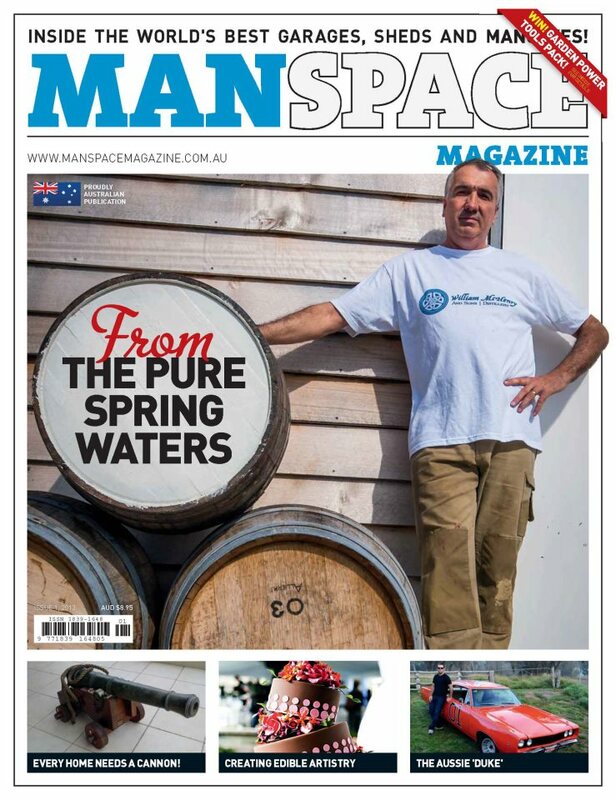 There are a bunch of other articles too – the Navy Steam Club (and their steam truck which I have actually driven while living at the Cerberus Naval Base), urinals for the shed, collectables, beards and a whole heap more. For those than mourn the days of Tungsten Palm Pilots, Pocket PCs and other stylus controlled devices, you don’t have to continue to use fat finger control if you prefer not to. 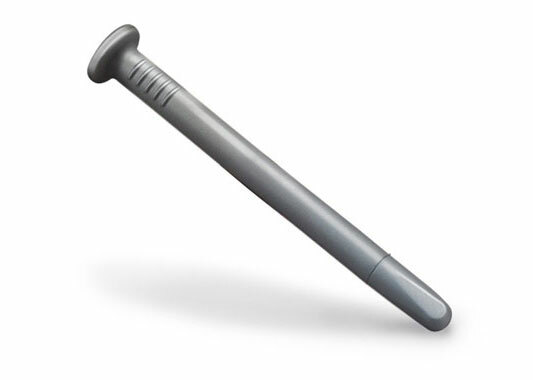 And if you also want a bit of shed-related peripheral, then you can use a nail to control your iPad/iPhone or other digit-controlled device. Not exactly any nail of course! 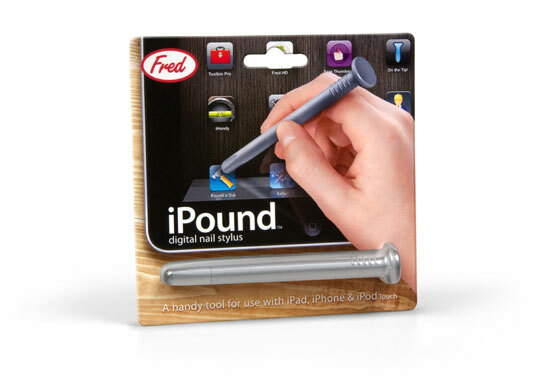 The iPound, from Fred (& Friends). Use it to access all your woodworking-related apps! 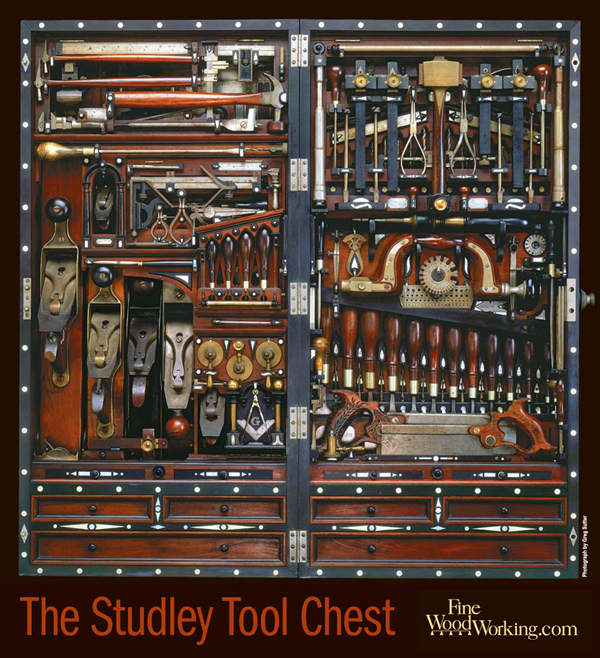 Henry Studley was a piano maker from the late 1800s (1838-1925), who is still famous today, not so much for his pianos and organs, but for the magnificent tool chest he made that houses over 300 tools in a 40″x20″ case (closed). 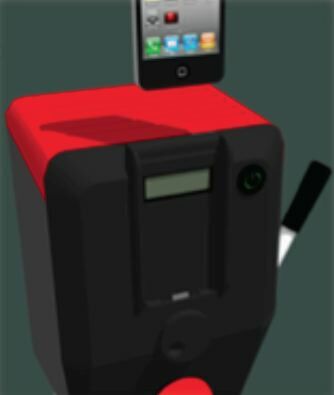 There is a poster that FineWoodworking.com sell of the Studley case, and I had it on my iPhone as a screen saver for a long time (although the details are a little hard to see!) What the poster does not reveal is the magnificent details of drawers and hinged sections, sliding shelves within the drawers etc. Thanks to IS for linking me to a video by the New Yankee Workshop, we can get to see the real detail that a static photo hides. And for those particularly interested, Lost Art Press (aka Chris Schwarz and co) are coming out with a book in 2013 specifically about the chest. Anyone prepared to draw the unit in Sketchup? !